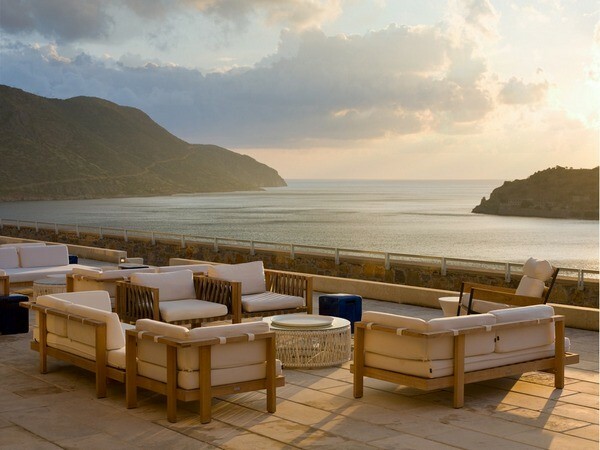 Elounda, Crete – November 11, 2014 – Blue Palace, a Luxury Collection Resort and Spa is proud to announce it has ranked third in the top 10 European Resorts of US Condé Nast Traveler Readers Choice Awards 2014, for the 3rd consecutive year. Blue Palace Resort and Spa, has attracted several international awards – earlier in the year it was included in the prestigious US Condé Nast Traveler Gold List 2014, received the 2014 TripAdvisor Certificate of Excellence and SpaFinder Wellness Travel Country Award 2014 – and garnered recognition for its design, location and services. Nestled on the famed coast of Elounda on the island of Crete, it is the perfect hideaway to combine authentic island luxury, fine cuisine, a host of cultural interests and breath-taking natural beauty that’s soothing for the senses.